Provide hands on technical leadership in the full life cycle of design and implementation of software system for embedded devices and systems, from requirements through production and commercial launch, and maintenance. Perform feasibility investigation for new projects, systems, or approaches. FPGA / CPLD / programmable logic debugging with simulator and debug cores. Experience developing prototype boards with debug code in an IDE with JTAG emulator, logic analyzers, scope, etc. 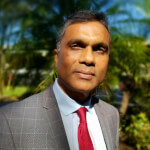 Arshad is a seasoned recruiter in the healthcare space with over 15 years of experience in promoting career growth for healthcare professionals. He has played a critical role in the launch of several startup companies. He is known for versatility and leadership; expert in overseeing high-level priorities and a broad range of responsibilities.